From the White House to Wisconsin … Oh, the irony. First, let's be clear, the president himself has added to the tabloid-like drama unfolding this week as former White House adviser Omarosa Manigault Newman continues her book tour. He has tweeted about her constantly, blowing oxygen on stories his team wants extinguished. But more, don't forget, it was the president who arguably started talk of tapes in his White House. Way back when, a year ago, days after former FBI Director James Comey was fired, the president tweeted that Comey better hope there were no "tapes." Irony seemed to be ripe in Midwest politics overnight too. Among a crowded field, Wisconsin Democrats picked the state's education chief, Superintendent of Public Instruction Tony Evers, to take on Gov. Scott Walker, known to many outside of the state for famously breaking up teacher's unions. 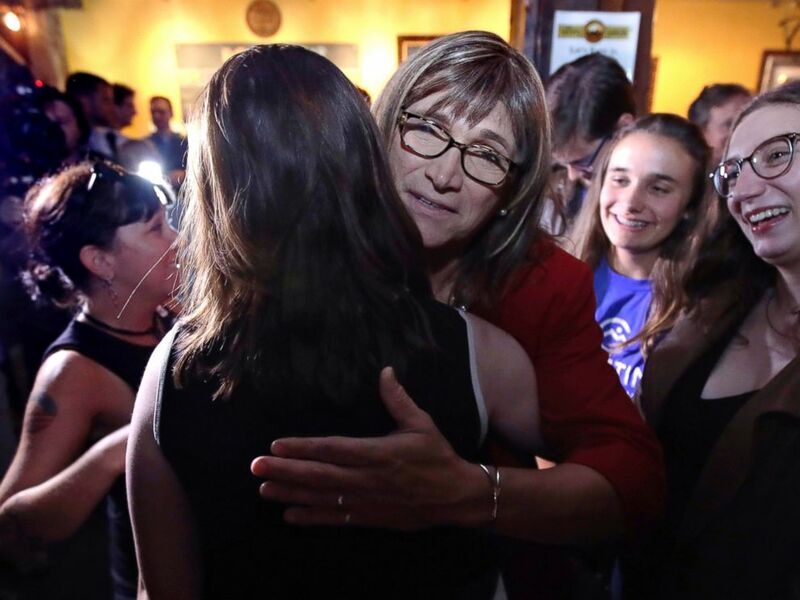 Vermont Democratic gubernatorial candidate Christine Hallquist, center, a transgender woman and former electric company executive, embraces supporters after claiming victory during her election night party in Burlington, Vt., Tuesday, Aug. 14, 2018. Democrats Tuesday night also chose a transgender woman to represent them on the ticket in the Vermont gubernatorial race; an African-American woman to make history in Connecticut; and another Muslim female congressional candidate, this time in Minnesota. So, in primary voting around the country, there seemed to be more than irony at play. More like stark contrasts. On the one hand, the president's language on minority groups and predictions for a red wave this fall. On the other, there's momentum and movement in the Democratic Party. For some politicians, second acts are probably best thought of as daydreams instead of realities. Former presidential candidate and two-term Minnesota Gov. Tim Pawlenty found that out the hard way Tuesday night, losing the GOP gubernatorial primary in the state to Hennepin County Commissioner Jeff Johnson. 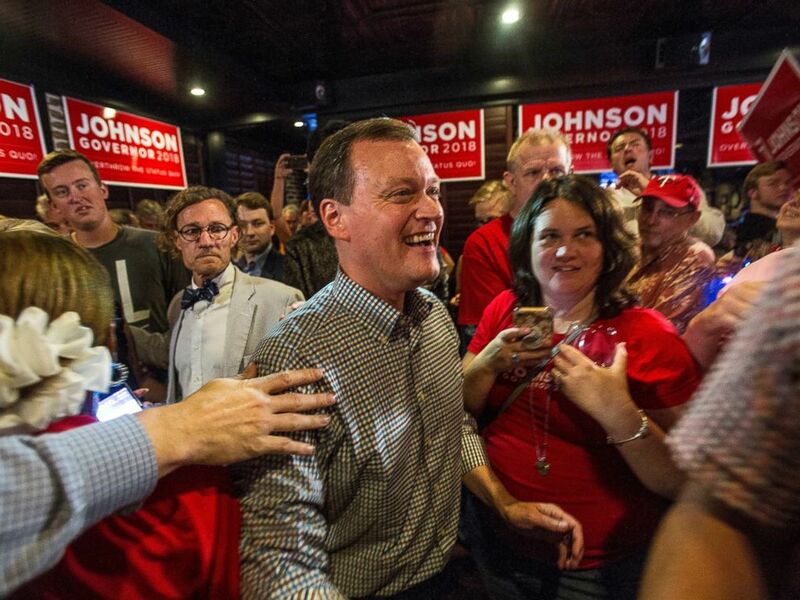 Minnesota gubernatorial candidate Jeff Johnson, center, is greeted by his supporters after returning to the watch party, Tuesday, Aug. 14, 2018, in Plymouth, Minn. The loss likely takes Minnesota off the board for Republicans this cycle, as they now lose Pawlenty's name recognition and fundraising ability, while Democrats nominated a strong candidate in Rep. Tim Walz who hails from a rural congressional district. The Republican headache in Kansas also continued last night, as Gov. Jeff Colyer became the first sitting state chief executive to lose a primary after he conceded to Kansas Secretary of State Kris Kobach in a race that was too close to call last week. Kobach, a close and controversial ally of President Trump, likely puts the governor's mansion in deep red Kansas in play, as Democrats look to capitalize on an expansive and varied gubernatorial battlefield this cycle. Women have already come a long way this election cycle. 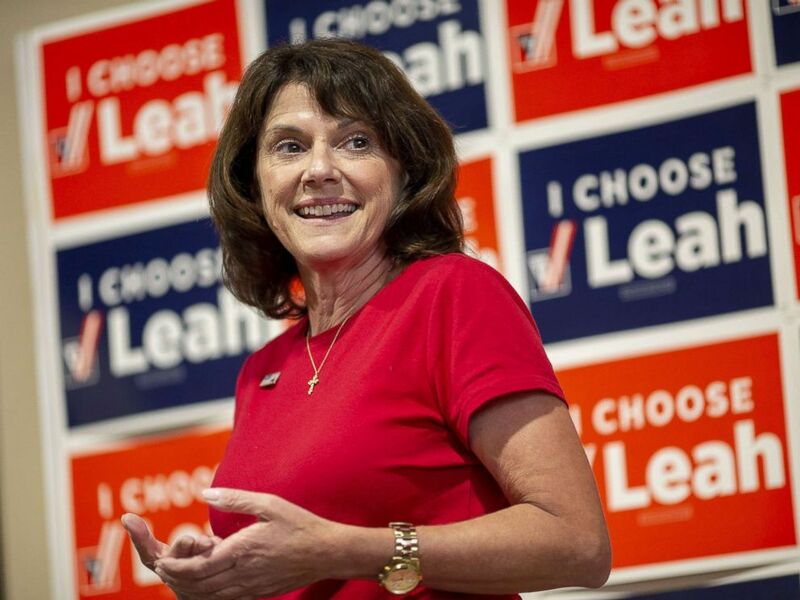 But in another groundbreaking night, the nomination of Leah Vukmir in the Wisconsin Republican primary for U.S. Senate propelled the total number of women nominees for Congress' upper chamber into record-breaking territory. Leah Vukmir, a Republican Senate candidate from Wisconsin, speaks during a campaign stop in Elkhorn, Wisconsin, Aug. 13, 2018. In the company of Wisconsin Democratic Sen. Tammy Baldwin, Minnesota Democratic incumbent Amy Klobuchar, Minnesota Democratic Sen. Tina Smith, and Minnesota state Sen. Karin Housley, who won the Republican primary, 19 women will now be featured on the general election ballot in U.S. Senate races this November, a new record according to the Center for American Women and Politics (CAWP). "Now we watch to see if these records turn into record numbers of officeholders come November," said CAWP Director Debbie Walsh. Tuesday night offered another indication that November might just bring scores of trailblazing female officeholders in the Trump era. The prosecution and defense teams in Paul Manafort's trial are expected to deliver closing arguments today. Defense Secretary James Mattis continues his South America trip in Argentina today. Supreme Court nominee Brett Kavanaugh meets with U.S. Senators Joe Donnelly and Heidi Heitkamp at noon and 3 p.m. ET, respectively. "I can't guarantee anything…" — Press secretary Sarah Sanders when asked if she could guarantee that President Trump has never been recorded saying the N-word. ABC News' podcast, "Start Here." Wednesday morning's episode features a conversation with Lauren Hogg, an incoming Marjorie Stoneman Douglas High School sophomore who is returning to school just months after the shooting that killed 17 people. ABC News' Katherine Faulders checks in from the courthouse as Paul Manafort's defense rests. And, ABC News Chief National Affairs correspondent Tom Llamas examines the rise of Michael Avenatti from Stormy Daniels' lawyer to possible presidential candidate.